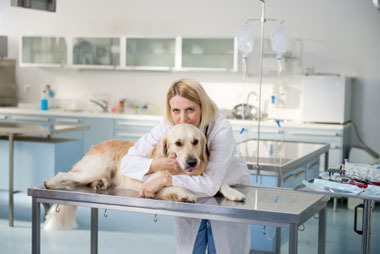 We didn’t mention that veterinarians are now using larger quantities of platinum EP catheters in their practices too, and that those vets can recycle them for more money than they might expect. How much money? As we go to press with this post, platinum is trading for $1,435.00. That figure should serve as a reminder of how foolish it can be to discard EP catheters instead of recycling them with one of America's best platinum refiners. If you’re a vet, you already know that many pet owners today want to give their pets the most advanced treatments available. Dogs and cats are being treated for diabetes, blood disorders, cardiac issues, joint diseases, epilepsy, and more illnesses. It seems that people want their pets to live longer and enjoy a better quality of life while they do. And when a pet is entering its final days, some pet owners are even sending their animals to veterinary hospice centers. As a result, cardiac and other tests that were once given to human patients only are now being administered to animals in veterinary offices. If you’re discarding your used testing supplies, you could be discarding money too. If you call Specialty Metals Smelters and Refiners at 800-426-2344, our consultants will be happy to help you create a plan to turn your used EP catheters into dollars.